In a world of endless and noisy digital content, hyper-stylized storytelling, and growing divides among people of all backgrounds, Imbar Slavat uses the raw style of documentary filmmaking to bring nuanced understanding to sensitive topics. “Documentary films have the power to shed light on obscure details and events, to bring important context to the life stories of people living in the world today.” For Imbar, being a documentary filmmaker helps her fulfill what she sees as her Jewish obligation and responsibility to repair the world. Follow Imbar and her team in the creation of this film on Facebook and Instagram, and check out their page on Indiegogo! 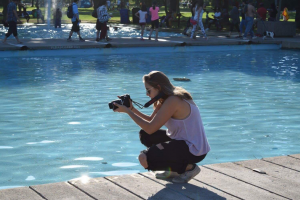 Imbar Slavat is going into her fourth year at Ryerson’s Media Production program. 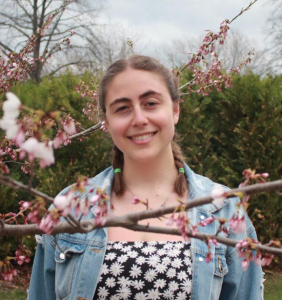 As part of her fourth-year thesis she is creating this documentary and hopes to make an impact on the Jewish community. Imbar hopes to continue to make meaningful documentaries and touch people through film.